Here for quick reference are Consumer Alerts and information on refunds available to Californians from consumer protection action brought by Attorney General Lockyer. See Consumer Refunds Info. FIRST, CHECK THIS OUT . . .
Attorney General Lockyer says California consumers should check the facts before buying prescription drug discount cards now authorized by Medicare to avoid paying for empty promises. The Attorney General also warned consumers to be alert for fraudulent solicitations that have appeared in other states. "Our seniors have paid exorbitant prices for prescription drugs for too long, and they cannot afford false hope and false promises," Lockyer said. "Consumers should make sure that buying drug discount cards makes financial sense and that the promised savings are real." Touted under a new Medicare program as a way to save money, prescription drug discount cards are now being sold by private businesses and organizations with actual benefits taking effect beginning June 1. Since Medicare beneficiaries can purchase only one prescription drug discount card until January 2006, California seniors will want to study each card's features carefully. Before buying a drug discount card, California consumers should find out if the card is approved by Medicare and will cover drugs actually being taken by the consumer. Consumers also will want to determine how much they would likely save since the card may not be right for all consumers - such as middle-income seniors in health maintenance organizations (HMOs) or low-income consumers in the Medi-Cal program who already receive drug price discounts. Drug discount cards may provide buyers with savings of 10 percent to 25 percent off retail prescription drug prices with annual fees of up to $30. According to Medicare, only cards that meet certain standards, such as providing a range of different categories of discounted drugs, access to local pharmacies, and regular price comparisons for discounted drugs are being approved. 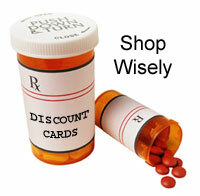 The Medicare web site provides a drug benefit calculator and additional information on approved drug discount cards. To determine likely savings, calculate how much would be spent each month on each drug used, then compare the price with how much would be paid with the drug discount card. Medicare is working on a new web feature allowing on-line comparisons of drug discount prices. Lockyer warned consumers that deceptive sales practices, including phony telephone solicitations, have already occurred in other states. Seniors should be careful about buying cards from non-Medicare-approved companies and about giving out personal identification information. The Attorney General emphasized that consumers should never provide solicitors their bank account numbers or passwords. Deceptive or unfair practices by discount drug card sellers should be reported to the Attorney General Office. Complaints can be filed using the on-line complaint form or by writing to the Attorney General's Public Inquiry Unit, P.O. Box 944255, Sacramento, CA 94244-2550. Medicare has approved drug discount cards from: Aetna Health Management LLC; Caremark Advantage, Inc.; Catalyst Rx; Medco Health Solutions Inc.; PMB Plus Inc.; PharmaCare Management Services Inc.; Pharmacy Care Alliance Inc.; Scrip Solutions LLC; SXC Health Solutions Inc.; United Healthcare Insurance Co. (with AARP); WellPoint Pharmacy Management; Express Scripts Inc.; Argus Health Systems Inc.; Computer Sciences Corp.; WHP Health Initiatives Inc.; AdvancePCS Health LP; First Health Services Corp.; and Long Term Care Pharmacy Alliance LLC. Attorney General Lockyer warns Californians to beware of high-interest loans disguised as "instant" or "rapid" tax refunds. Lockyer says some storefront tax preparers are enticing consumers with offers of quick refund cash that really are short-term loans that can carry annual interest rates of more than 700 percent. These so-called refund anticipation loans may require consumers to pay fees for tax preparation, electronic filing and check cashing for the so-called benefits. The Attorney General urges families who may be eligible for the federal Earned Income Tax Credit to check out free tax assistance programs in their communities before paying to have their returns prepared. To find out if you qualify for free assistance, call toll-free 1-800-829-1040. More Information. Consumers who believe they have been victimized by a tax return preparer can file an on-line complaint or mail your complaint information to the Attorney General's Office at P.O. Box 944255, Sacramento, CA 94244-2550. In response to Attorney General Lockyer's call for proposals, nearly 360 inquiries and 75 Letters of Intent have been received. Applications were solicited from eligible nonprofit organizations and public agencies to improve the health and nutrition of consumers in California. Grants totaling some $800,000 are being made available under the settlement agreement with the Salton Corporation over alleged price-fixing of George Foreman contact grills popularly seen advertised in television commercials. Because of the difficulty and expense of determining individual refunds to consumers who were harmed by the business practices, the settlement proposes to use the consumer product price-fixing settlement to benefit the public generally. The one-year grants to advance health or nutrition-related causes will range from $75,000 to $150,000. Notice and Letter of Intent Form. Consumers should be on the alert for more sophisticated "spoof" e-mails that trick unwary and unsuspecting Internet users into giving personal information that can be used to drain bank accounts, fraudulently get credit cards and commit other crimes. More Information. From time to time, e-mail is circulated to consumers on credit information and privacy which appears to be well-intentioned, but unfortunately contains several inaccuracies regarding steps you can take to protect your credit information. Here are some Basic Facts on your rights to opt out of the sharing of your consumer information by credit bureaus and financial institutions. Additional information on privacy issues is available from the Federal Trade Commission and such groups as the Privacy Rights Clearinghouse. ATTORNEY GENERAL LOCKYER ISSUES WARNING ON "LIVING TRUST MILLS"
California consumers should be on the alert for con artists operating "living trust mills" that fraudulently sell annuities and trusts to senior citizens. Attorney General Lockyer says consumers in these scams end up paying a lot of money to sales agents for living trusts that really aren't in the best interest of the consumer. Attorney General Lockyer won the state's first-ever anti-spam lawsuit against a California company found to have violated laws prohibiting unsolicited commercial e-mail, false advertising and unfair business practices. Lockyer encouraged Californians who believe they have received spam to file complaints with the Attorney General's Office and to send examples to the Attorney General's Office. Californians who receive spam at their email addresses can send examples to the Attorney General's Office at caspam@doj.ca.gov. The Attorney General's Office is looking for examples of spam e-mails particularly from persons operating in California. While obtaining valuable leads from spam posted in various newsgroups and mailing lists, the Attorney General's Office is seeking certain examples directly from individuals who would be prepared to verify, in a written statement under oath, information about the spam they received. Examples we want. Attorney General Lockyer reminds consumers to be wary when seeking out "legal aid" or "legal services" because the end-result could be harmful and interfere with your legal rights. "While true non-profit legal services groups in California provide valuable assistance to people who cannot afford to hire a lawyer, there are some individuals and businesses out there trying to take improper advantage of consumers and harm consumers with shoddy legal work," Lockyer said. R E F U N D N E W S . . . R E F U N D N E W S . . . R E F U N D N E W S . . .
Refund checks are being mailed to 385,637 California consumers from settlement of a multi-state price-fixing lawsuit against five of the country's largest music compact disc (CD) distributors and three national retail chains. The individual refund checks of $13.86 are being sent to consumers who submitted valid claims for buying music CDs from January 1, 1995 through December 22, 2000. More information is available from the national music CD claims administrator. In another benefit to the public, the settlement is providing some 665,000 music CDs to California. To make the music CDs available to the widest range of California consumers, the Attorney General will be distributing the music CDs to public libraries, K-12 schools, colleges and universities throughout the state for public use through their programs. Libraries, schools and colleges interested in the program can get information at California Music CD Distribution Program. The deadline for filing refund claims has been extended by the court to February 29, 2004. Californians who used the anti-cancer drug Taxol or its generic equivalent, paclitaxel, between January 1, 1999 and February 28, 2003 may be eligible for cash refunds of up to $525 if all or part of the drug treatment costs were paid out of pocket. The refunds are part of the consumer lawsuit settlement reached by Attorney General Bill Lockyer and the attorneys general of 45 other states and four territories. Claims forms and more details are available from the Taxol Settlement Administrator or by calling 1-800-659-7609. A toll-free number is available for the hearing impaired: 1-866-216-0265. Both drugs are used primarily in the treatment of breast and ovarian cancers, but may also be used to treat lung cancer and Kaposi's Sarcoma. In their lawsuit, the attorneys general alleged that Bristol-Myers Squibb fraudulently obtained patents on its cancer drug Taxol in order to delay the marketing of lower-priced generic alternatives. Among other things, the proposed settlement sets aside $12.5 million for refunds to consumers. Refund claims are being processed and validated for Californians who were taking the hypertension drug Cardizem CD or generic equivalents between January 1, 1998 and January 29, 2003. Consumers deemed ineligible or who filed incomplete claims are being notified. Consumers who paid cash for Cardizem CD with no help from insurance or other prescription drug coverage will receive the highest level of compensation. The refunds come from settlement of a lawsuit against two major drug makers who allegedly conspired to keep a competing popular generic heart drug off the market. More information is available from the Cardizem national claims administrator. Californians who bought the anti-anxiety drug BuSpar, or its generic version (buspirone HCI), from January 1, 1998 through January 31, 2003 may be eligible for cash refunds under settlement of a nationwide lawsuit. The lawsuit alleged that Bristol-Myers Squibb engaged in unfair competition that prevented the marketing and sale of a cheaper generic version, resulting in patients paying more for the drug. The settlement provides $42 million in refunds. Claims are being validated and processed. More information is available from the BuSpar national claims administrator.